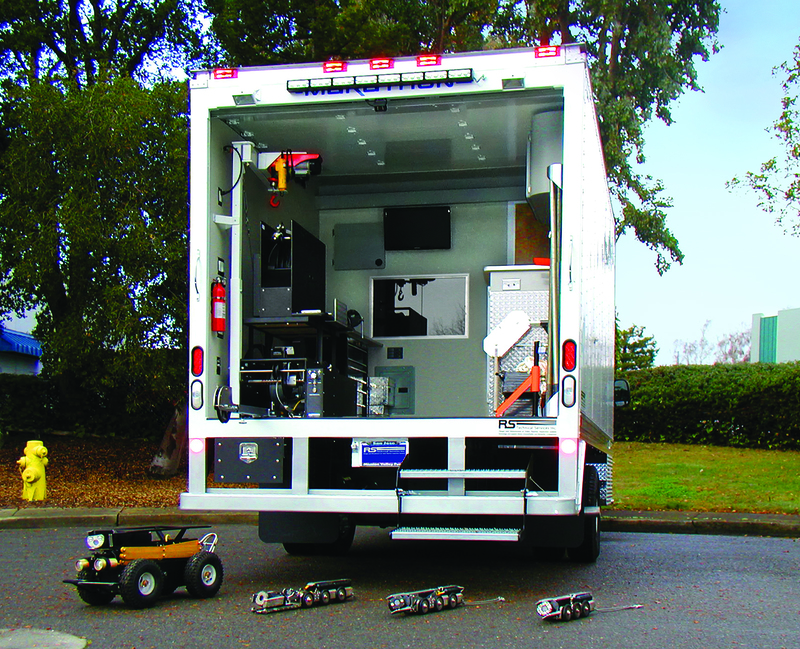 Our High Cube Inspection Truck is a favorite choice of chassis among contractors and municipalities for road-going inspection capabilities. 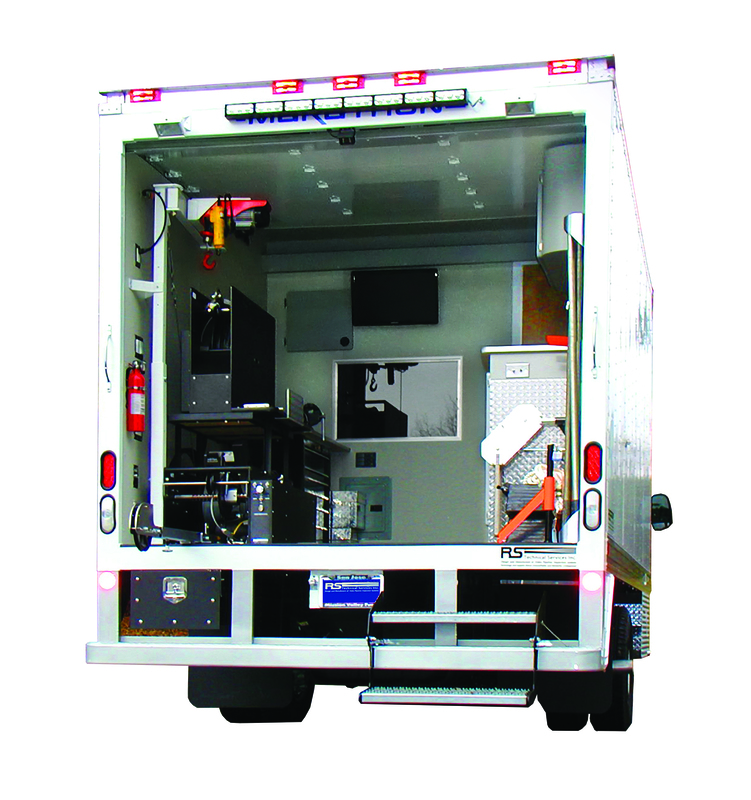 The inspection system in our High Cube Inspection Truck features cutting-edge, single-conductor technology, while the interior van installation is customizable to your needs. Our true “plug and play” components can be added onto existing systems, without the need for additional system controllers or upgrades. Cameras, transporters, lateral launchers, cutters, laser profilers, and more can all be easily operated on one single conductor. Longer inspection runs, smaller diameter cable, greater cable strength, and superior warranties all come standard with our equipment and vehicle builds. Available in a variety of sizes, (usually 12- to 16-foot box lengths). Provides ample storage room while allowing for fully customizable system installations. Extra workspace, countertops, tool boxes, and even on-board bathrooms are available. Power sources, safety lighting, air conditioning, heat, floor and wall coverings, and cab access are configured to your requirements. Backed by one of the best after-sales support and warranty programs available.